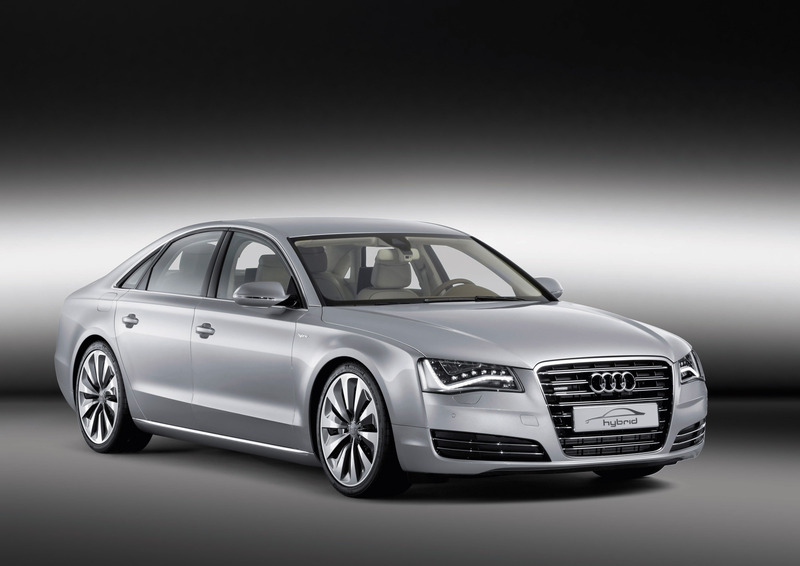 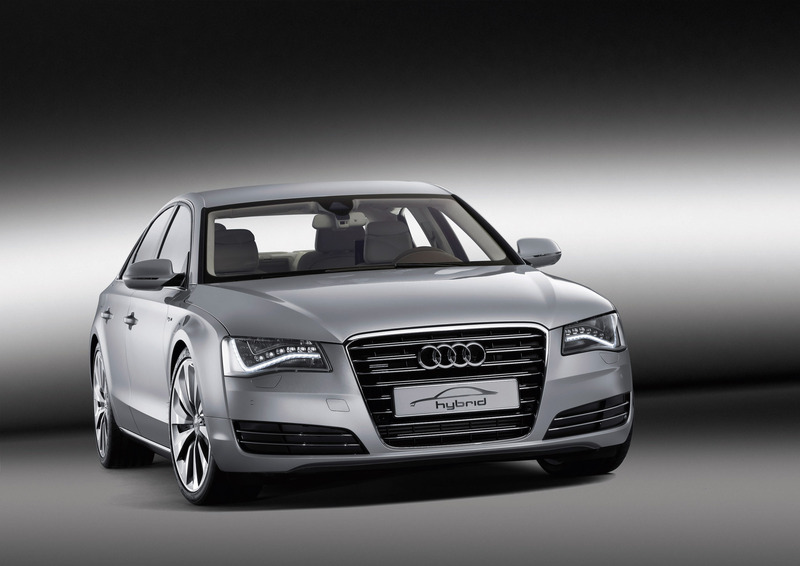 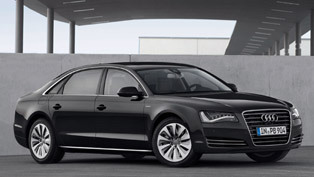 The combustion engine of the Audi A8 hybrid is the 2.0 TFSI – a high-tech powerplant. 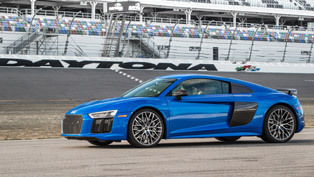 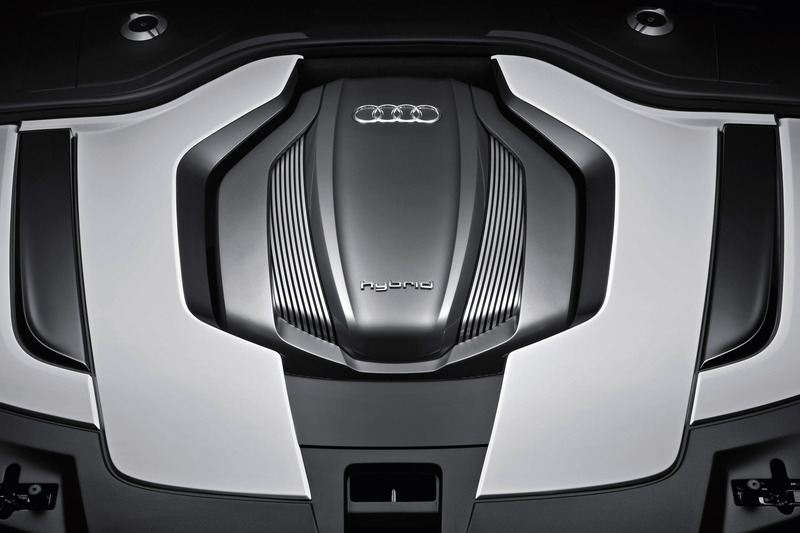 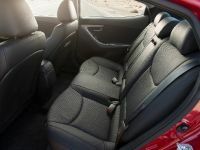 This four-cylinder unit, which has been named "Engine of the Year" five times in a row since 2005, is an example of Audi's downsizing philosophy. 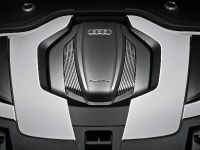 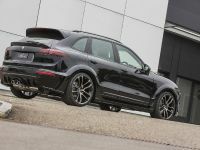 It combines direct fuel injection with turbocharging and the AVS Audi valvelift system, which regulates the valve lift in two stages. 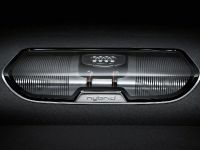 In combination with the adjustable intake camshaft, the Audi valvelift system improves cylinder charging and ensures spontaneous and powerful torque build-up. 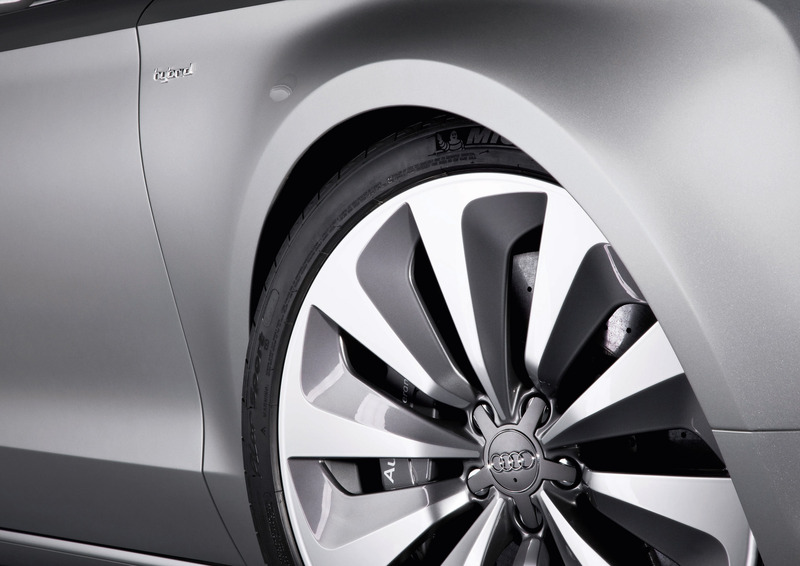 The 2.0 TFSI delivers 155 kW (211 hp) and 350 Nm (258.15 lb-ft); the torque value remains constant from 1,500 to 4,200 rpm. 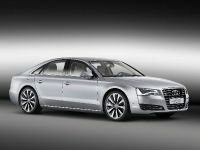 The Audi A8 hybrid, which weighs 1,885 kilograms (4,155.71 lb), drives as if it had a big six-cylinder gasoline engine or a TDI under its hood. 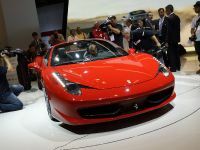 From zero to 100 km/h (62.14 mph) the vehicle accelerates in 7.6 seconds, and it can continue to accelerate up to 235 km/h (146.02 mph). 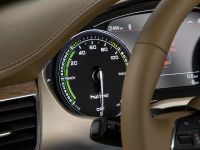 Yet its fuel consumption according to the EU cycle is only 6.2 liters per 100 km (37.94 mpg), corresponding to 144 grams CO2/km (231.75 g/mile). 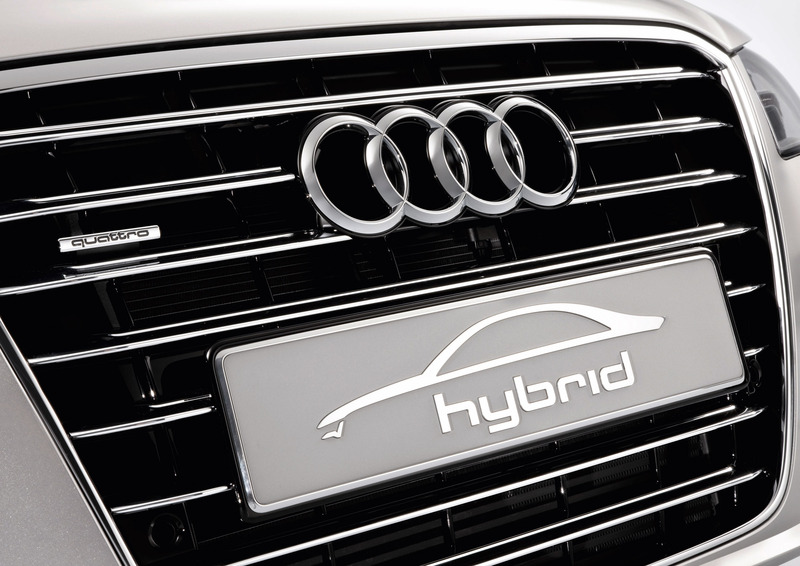 In city traffic, the hybrid drive uses about 20 percent less fuel than a conventional drive. 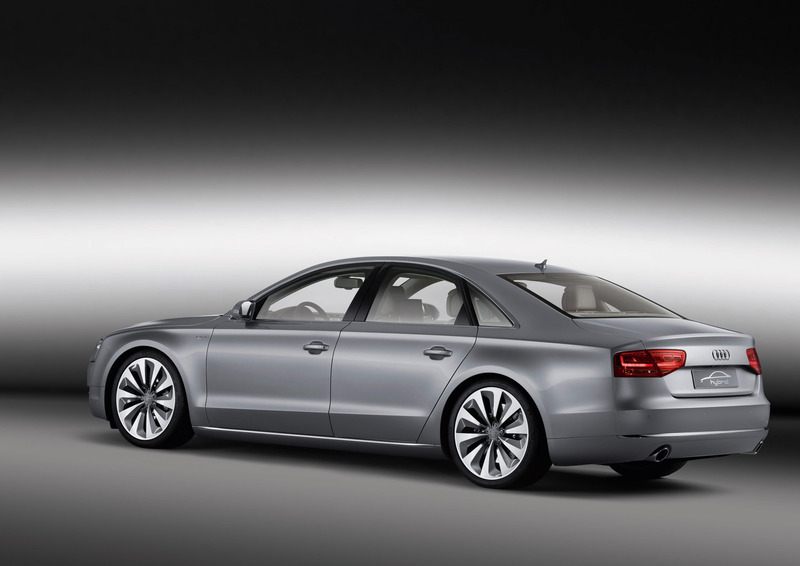 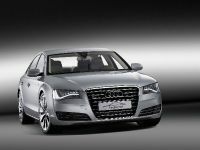 Both the car's performance and its fuel economy benefit substantially from a major advantage of the A8 model series – its lightweight aluminum body based on the Audi Space Frame principle (ASF). 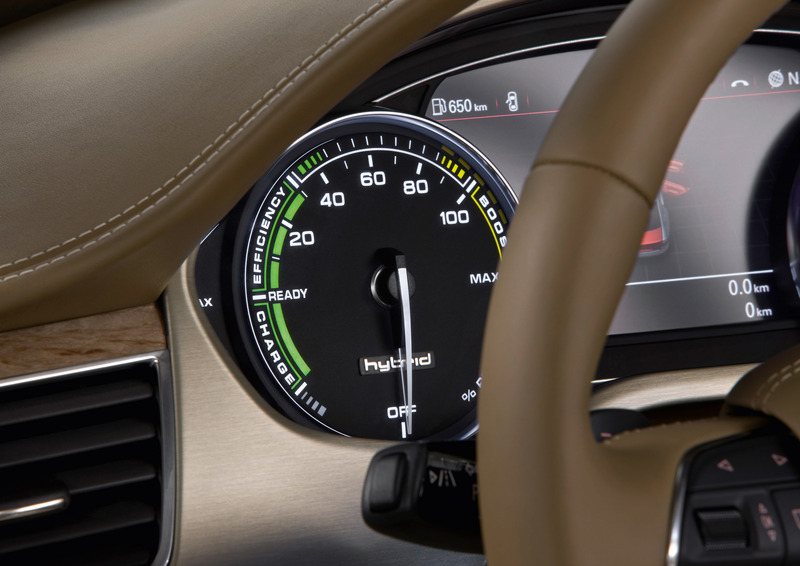 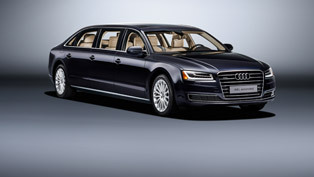 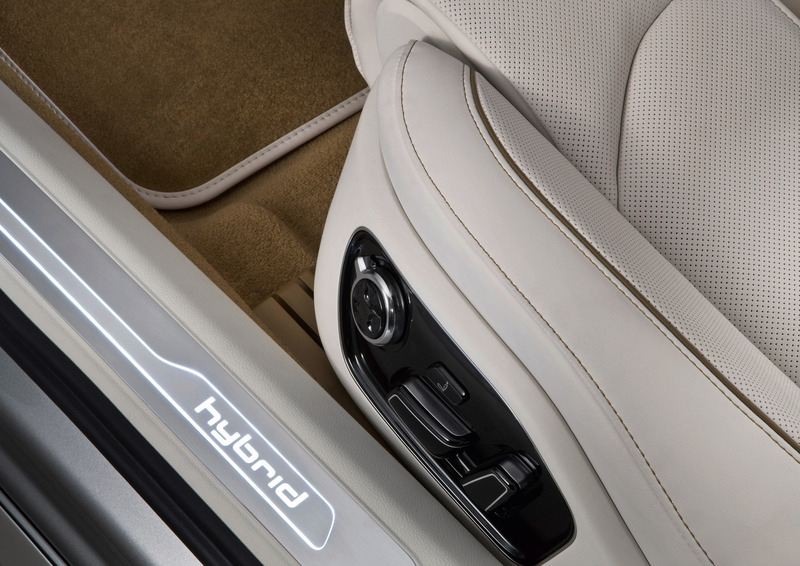 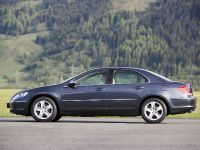 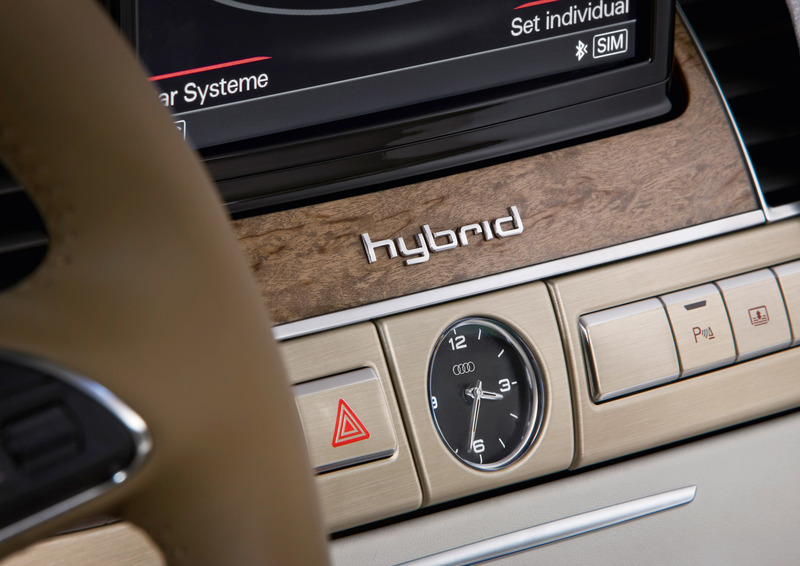 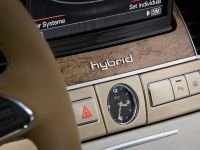 When the driver lets up on the gas, the combustion engine is disconnected from the drivetrain, so the Audi A8 hybrid "sails". 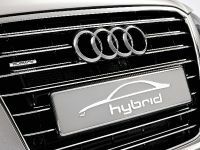 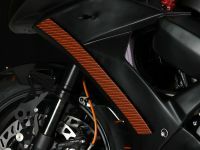 In braking and slow-down phases, the e-motor functions as a generator – recuperating energy efficiently and feeding it into the battery. 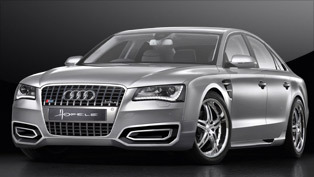 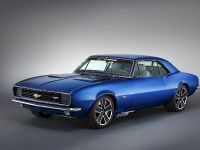 This near-production concept car has 21-inch, two-colour wheel rims styled with highly three-dimensional surface areas. 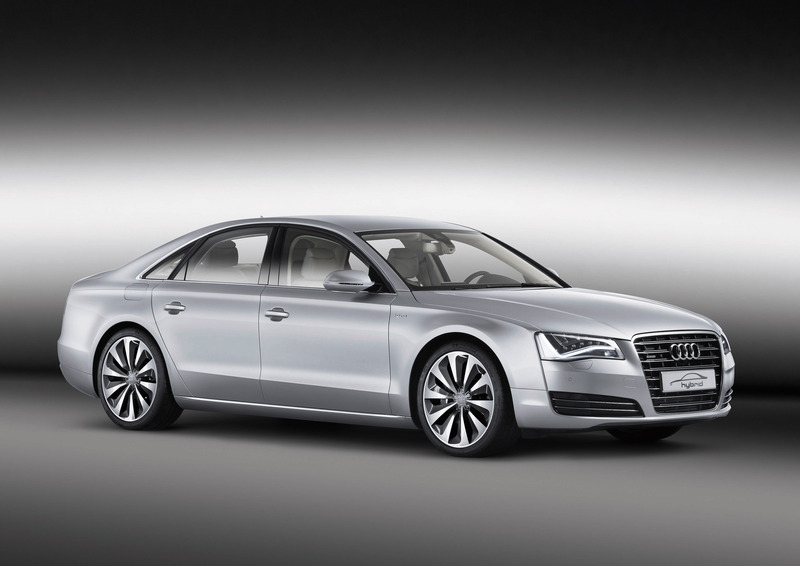 The exterior paint job of the A8 hybrid is in "Prism Silver" with "Spectra Flair" as an accent color – a rainbow effect that's accentuated in reflected light along creases and seams on the body. 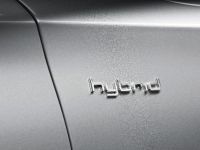 The prominently located "hybrid" lettering on both front fenders leaves no doubt about what kind of car this is. 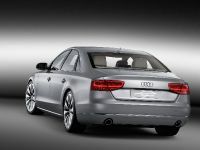 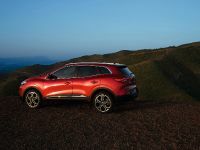 The accentuation of its width by a prominent low horizontal spoiler edge and a chrome strip conveys the vehicle's solid stance on the road. 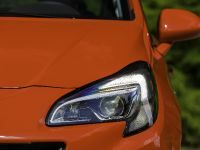 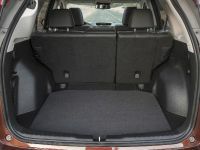 The engine compartment cover with its high-gloss finish and the glass cover of the battery in the trunk also provide visual links to hybrid technology. 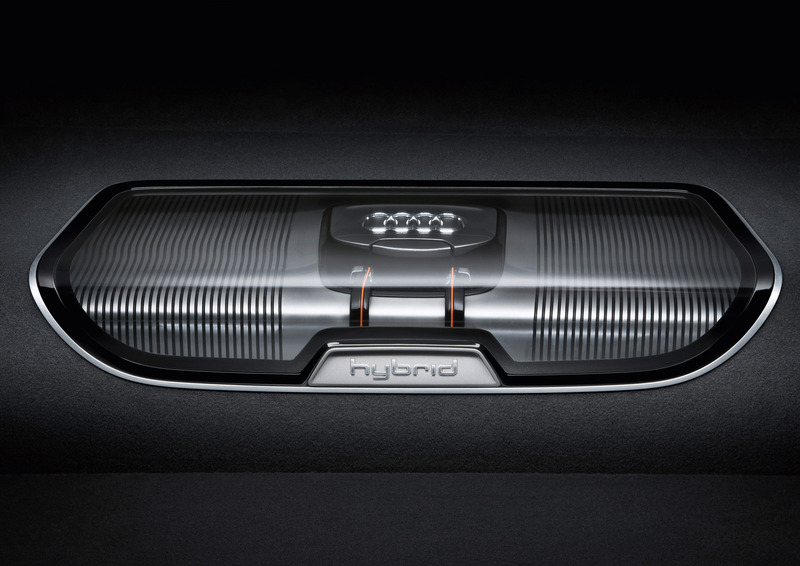 And the illuminated doorsteps bear the "hybrid" insignia as an elegant touch to underscore the electric aspect whenever the doors are opened – using LED technology to minimize energy consumption.